Funny Sign. 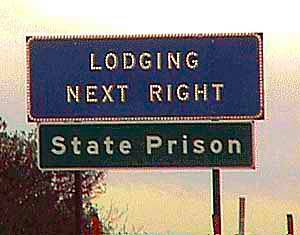 I've heard prisons have the nicest lodgings. :D. Wallpaper and background images in the Picks club tagged: funny signs.